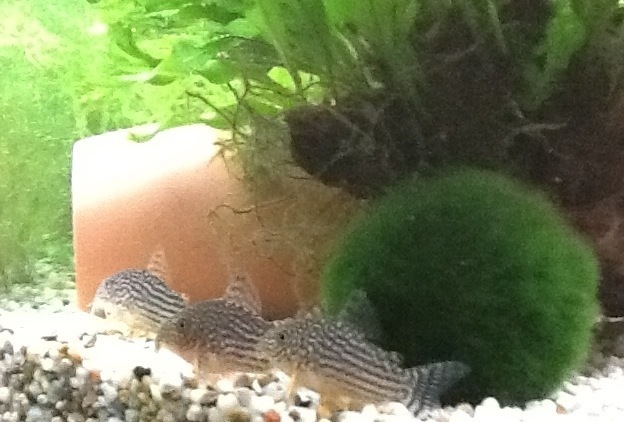 Well I’ve tried to take a decent picture of the three Corys but they are toying with me! 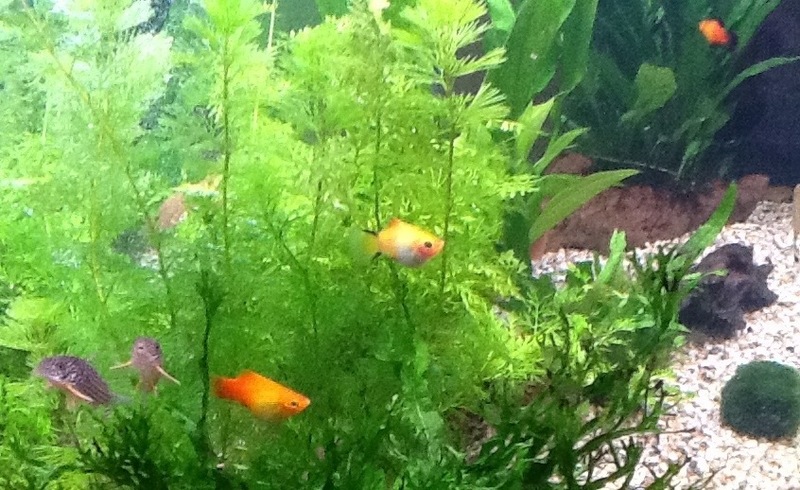 They play together most of the time and flit in and out of the water flow bubbles. Sometimes one will wander off and then regroup quickly with the other two. 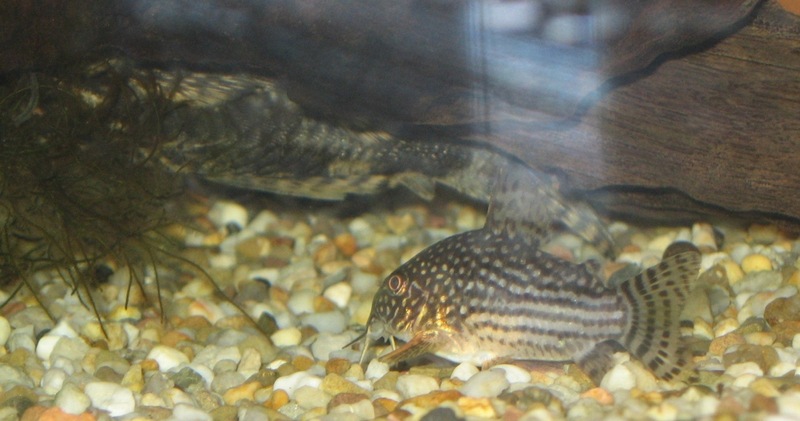 They are funny, wriggly fish and don’t mind bumping into one another or overlapping when they settle somewhere. At times they group together and seem to sit on the gravel and stay really still….until I point the camera. You can see a couple of them on the left but I’m still working on a clear picture.